The last few weeks I have been working on a new drawing. 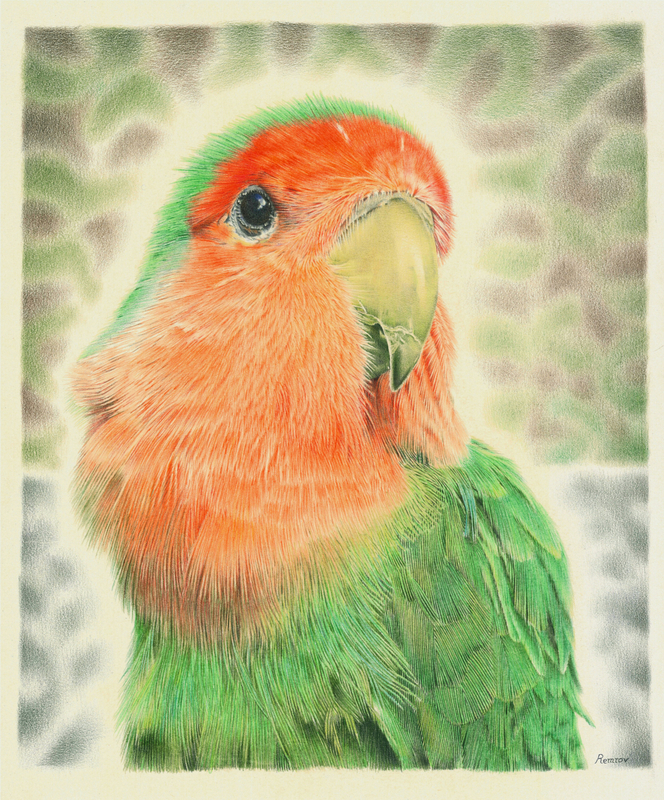 This time a coloured pencil drawing of my sweet little feathered friend Pilaf. I do not work with coloured pencil very often so it was quite a new challenge for me. But I also had lots of fun with it. Pilaf and I are already together for 16 years, and he’s actually registered as my help/therapy animal. 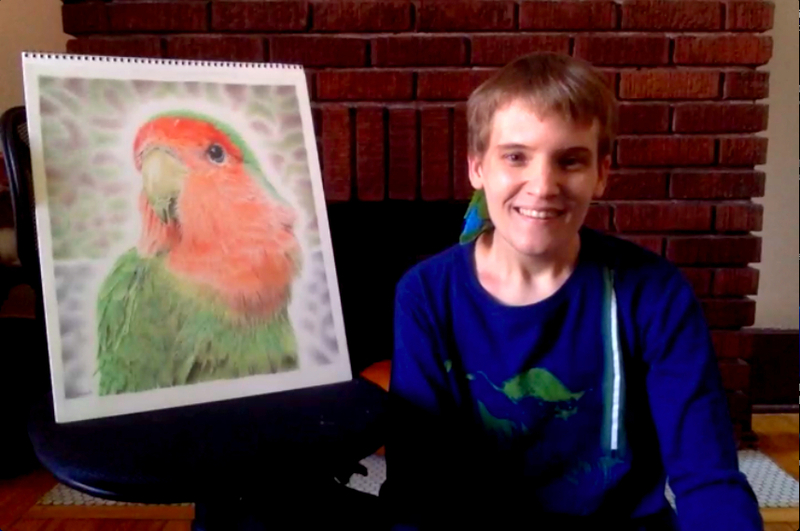 He has helped me a lot with challenges I face as a person with classic autism. 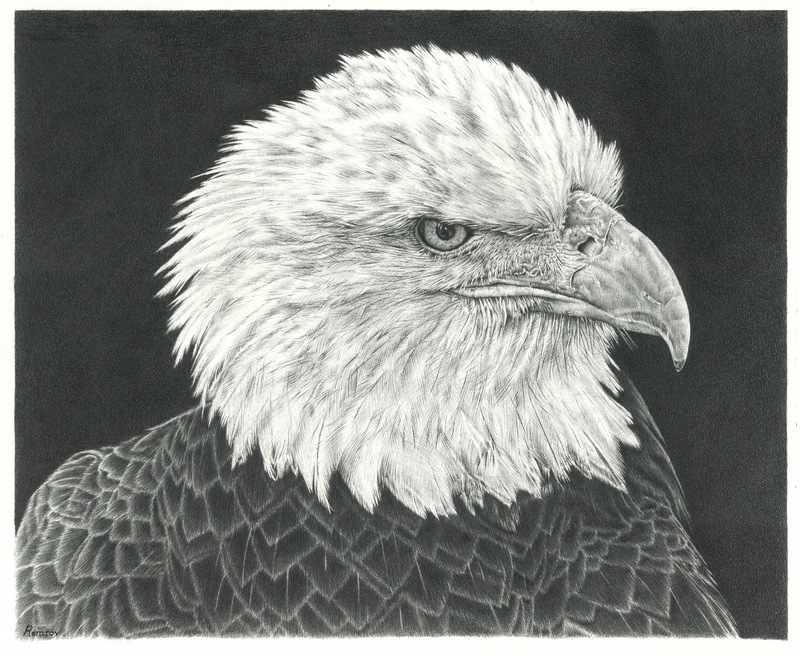 Prints of my drawing are available on Fine Art America in many different kinds and sizes. Even though my drawing is very special to me, it’s my little feathered friend after all, I might also consider selling the original. There are people who think of my autism as a handicap, or an illness. And they say I need to get well. I don’t see it like that. My brain is just wired differently. There are things which are very difficult for me, and even things which I can’t do because I have autism. But there are definitely also things which I wouldn’t be able to do if I didn’t have autism. 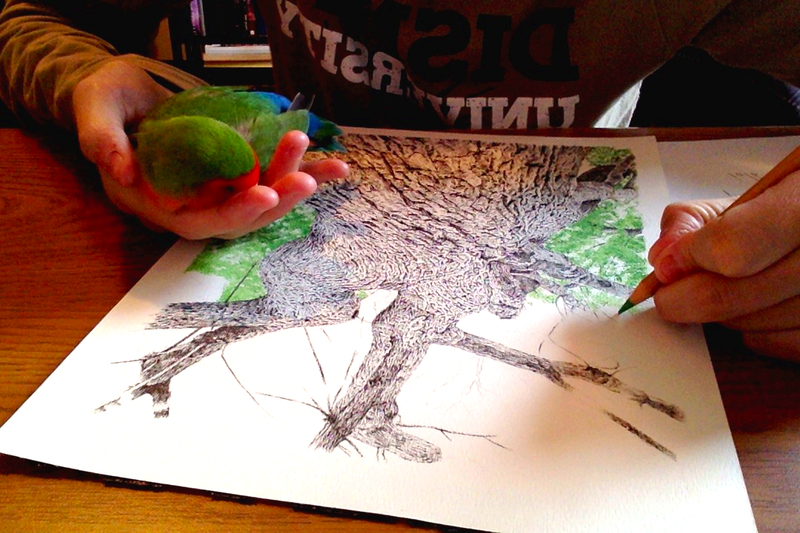 While I was working on the tree drawing which I just finished, my little feathered friend kept me company the whole time. He always likes to sleep in my hand. 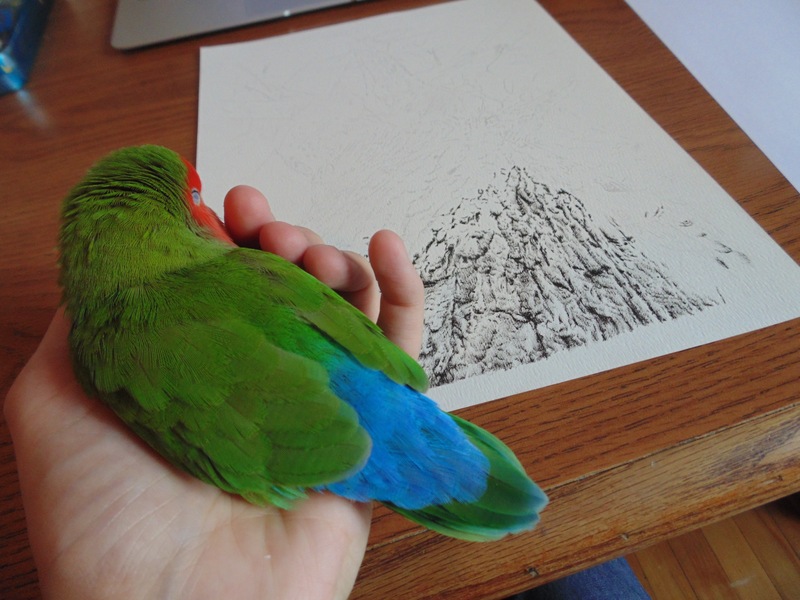 It’s of course not that handy to only have one hand free with drawing, but his warm company and the feeling of his tiny heart beating in my hand is totally worth it. Here’s my sweet little feathered friend sleeping in my hand again, while I’m working on my tree pen drawing.